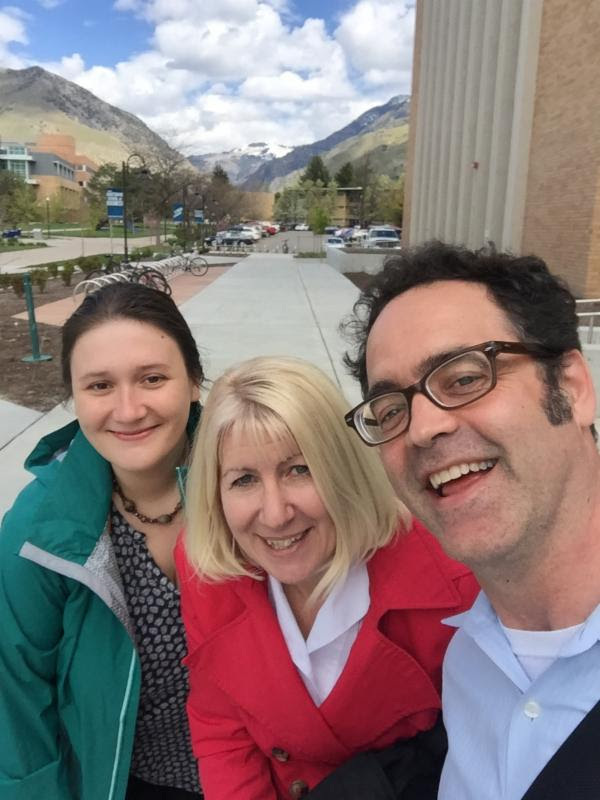 I had the good fortune of visiting the state of Utah this month, where state folklorist Adrienne Decker patiently guided me across the Beehive State's remarkable landscape of cultural heritage programs. It was an exhilarating visit, a reminder of what a vast number of cultural narratives our nation encompasses, and an incredible opportunity to meet so many deeply engaged community leaders, educators, folklorists, and public, church, and tribal historians working in the folk and traditional arts. I also had the honor of meeting most of Utah's state folklorists, past and present, including Hal Cannon, who started the nation's second-longest running state folklife program at the Utah Division of Arts & Museums in 1976! Missed this year's first Art Works deadline? Worry not! The second Art Works grant application deadline for this year is July 13, 2017 for an earliest project start date of June 1, 2018. These grants are intended for 501(c)(3) nonprofit organizations, units of state or local government, or federally recognized tribes. Grants generally will range from $10,000 to $100,000 and require a minimum 1 to 1 match with nonfederal funds. Read the Art Works Guidelines and watch the archived Guidelines Webinar on the NEA website. Have questions about applying to the Folk & Traditional Arts discipline? Contact Folk & Traditional Arts Specialist Bill Mansfield at [email protected]. Know a special individual working in the folk and traditional arts who deserves national recognition? The deadline for submitting nominations for the National Heritage Fellowships is August 3, 2017. Our nation's highest honor for folk and traditional arts practitioners or advocates, these fellowships recognize lifetime achievement, artistic excellence, and contributions to our nation's traditional arts heritage. You can browse the more than 400 past Fellows or make a nomination on the NEA website. Questions? Contact Folk & Traditional Arts Specialist Cheryl Schiele at [email protected]. The American-Scandinavian Foundation has a new program to support Scandinavian folk arts and cultural traditions in the Upper Midwest through grants and fellowships. The deadline to submit an application for a grant is August 1, 2017. The Japan Foundation supports projects that will further understanding of Japanese Arts and Culture. Applications are accepted on a rolling basis and can be submitted to either the New York office (for projects taking place in the 37 states east of the Rocky Mountains) or the Los Angeles office (for projects taking place in the 13 states west of the Rocky Mountains). With the Community Spirit Awards, The First Peoples Fundhonors and celebrates exceptional American Indian, Alaskan Native, and Native Hawaiian artists for their commitment to sustaining the cultural values of Native people. The deadline to submit a nomination is July 31, 2017. The recent issue of NEA Arts Magazine celebrates the 35th anniversary of the NEA National Heritage Fellowships and Jazz Masters, both of which were created in 1982. We're looking forward to the 50th anniversary of the Smithsonian Folklife Festival this summer from June 29 - July 4 and July 6 - 9, but we regret to share the news that the Folklife Festival will no longer be celebrating the NEA National Heritage Fellowships' 35th anniversary on the National Mall with a featured program. However, several Heritage Fellows - including Irvin Trujillo, Delores Churchill, Dolly Jacobs, and Michael Doucet and his band BeauSoleil - will be giving demonstrations in the Market Place as well as participating in the Circus Arts, On the Move, and 50th Anniversary programs! 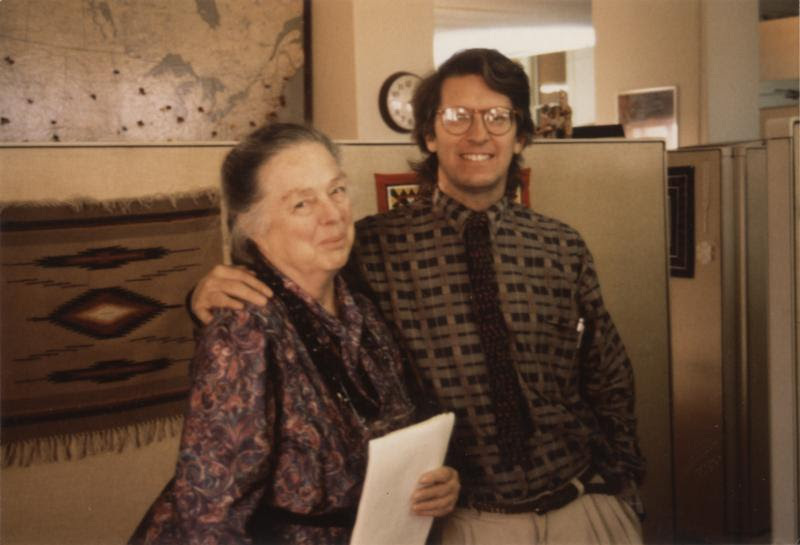 The first director of the NEA's Folk & Traditional Arts discipline, Bess Lomax Hawes, famously had a big map where the folk arts staff stuck multicolored pins to mark the locations of communities they had worked with and helped support. 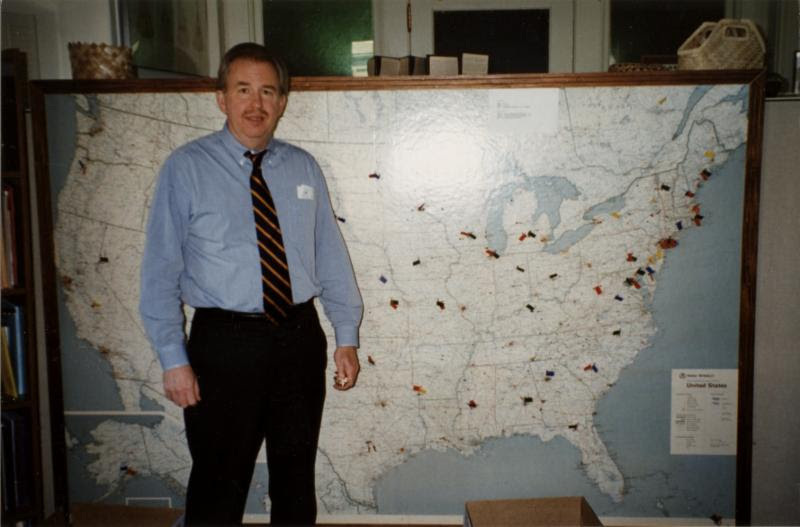 Pictured here are all the NEA's former Folk & Traditional Arts directors with the map. In this new section of the newsletter, we're bringing Bess's marvelous map to you by highlighting recent grantees and their inspiring projects happening in communities big and small. The Hydaburg Cooperative Association, a federally recognized Tribe located on an island off the southeastern coast of Alaska, received a grant last fall to support the Naa Iwaans (Big Cedar House) Traditional Carving Project. 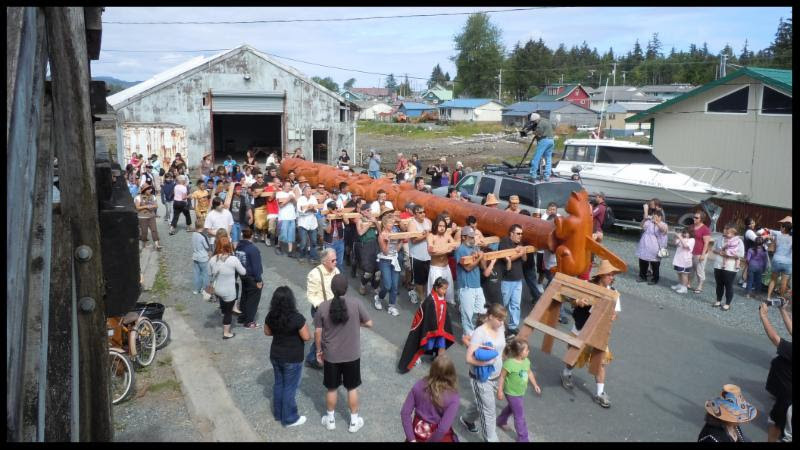 The project is now underway, and Haida master carvers are working with youth and other community members in the Native village of Hydaburg to carve interior totem poles, or house posts, (each 10ft. 2in. tall) from locally harvested red cedar trees using distinctive Haida carving designs, techniques, and tools. For the first time, state leaders will have authoritative federal data on arts and cultural employment and compensation in their state with the announcement of the latest findings from research conducted through a collaboration of the National Endowment for the Arts and the U.S. Department of Commerce's Bureau of Economic Analysis. Find links to an interactive data dashboard, infographic, and fact sheets for your state on the NEA website. In this new section of the newsletter, we ask leaders in the folk and traditional arts field the same three questions to help infuse a bit of camaraderie, inspiration, and, esprit de corps into your day! Our first Q&A is with Amy Kitchener, executive director and co-founder of the Alliance for California Traditional Arts. 1. How do you explain your work to friends or strangers who don't work in your field? A.K. : As a public folklorist, I collaborate with practitioners of traditional arts - to document and preserve community expressions and knowledge and develop programs to sustain traditions in communities. 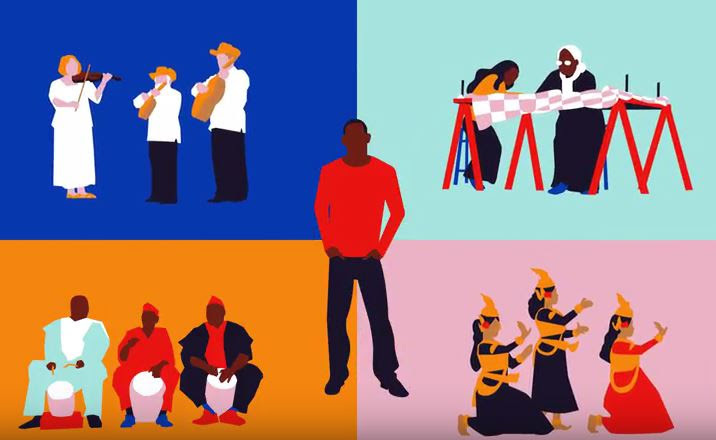 If you think about the things you would be sad if your children or extended family didn't know about your culture or heritage - that is the focus of our work. We offer resources to help maintain heritage arts in communities, as well as to support programs that share traditions more broadly. 2. What does the future of the folk and traditional arts field look like to you? A.K. : As public folklorists, our methodologies as ethnographers, often working collaboratively with culture-bearers, has broad applications. The field has many program models and a diverse infrastructure fashioned by skillful colleagues who have made themselves indispensable in a myriad of settings with stunning impacts. If we can harness this ability to create new partnerships and models according to the relevant issues of the day using our proven methods, we will continue to thrive. We have much to contribute to the growing cross-sectorial field in which the arts strive to be indispensable. 3. What is one message or idea you want to tell the field? A.K. : It's a message of optimism about the relevance of traditional arts practice whether it's about the impacts on health and well-being or community empowerment. 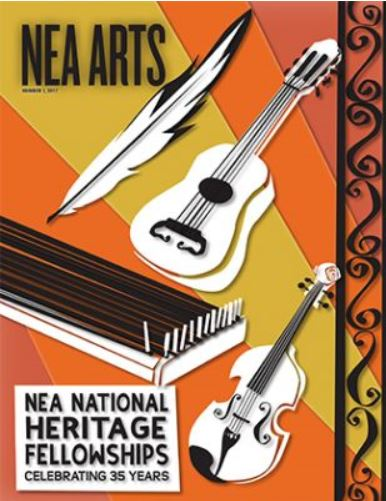 As many of us organize to tell the vital story of NEA's impact, our stories from rural communities and working class neighborhoods about how the folk and traditional arts has fostered belonging and connection in all languages and cultural communities exemplify why the federal government should continue investing in the arts and humanities. 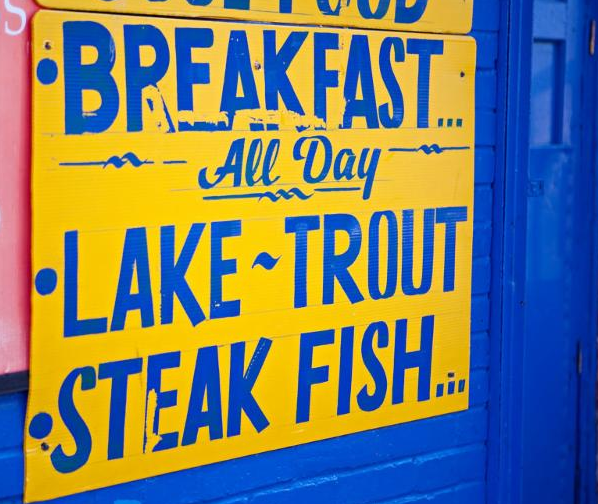 In my home city of Baltimore, Maryland, one of the most popular forms of takeout food is something called "lake trout," which is neither trout nor comes from a lake. Also, some grocers sell something called "marsh rabbit." And while actual rabbits called Marsh Rabbits can be found in the Chesapeake Bay tidewater, what is sold in stores as "marsh rabbit" is really muskrat.